Stopping ambient noise entering recording studios is a vital part of the construction of a recording studio. Sound Barrier Systems are experts in this field of sound insulation and have worked on both residential and commercial projects. Sound Barrier Systems design, manufacture and install the highest acoustic rating of any soundproof door or soundproof window on the market. 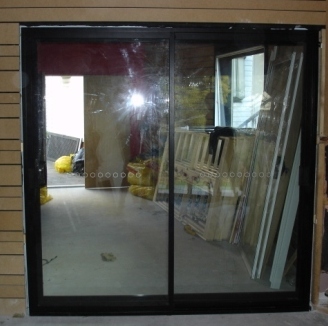 We design and build the windows and doors we install, so we can custom make them for your individual requirements. Sound Barrier personnel are qualified and experienced at the manufacture and installation of double and triple acoustically isolated frames with angled fixed glazing to comply with the highest of acoustic requirements. Sound Barrier have more than 30 years experience in the sound insulation business and know exactly the STC levels required to block the transmission of all types of noise. For recording studios you can’t afford to take chances with someone less experienced – contact Sound Barrier Systems. Sound Barrier have the expertise to ensure that your recording studio does not have any unwanted ambient noise affecting your recordings - and they look good too. 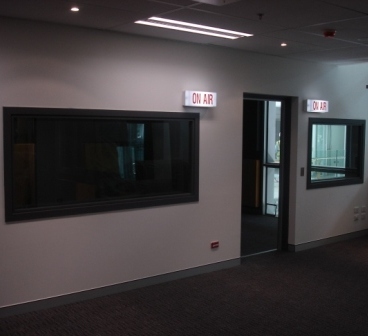 Specialised soundproof sliding doors for recording studios provide wide opening to get access for the equipment and instruments while still providing high levels of soundproofing.